BlackBerry gets SlingPlayer Mobile | BlackBerry Blast! Sling Media, Inc., today announced that for the first time the company will be showing their award-winning SlingPlayer Mobile software running on RIM BlackBerry® smartphones at the Consumer Electronics Show in Las Vegas, January 7th – 10th. 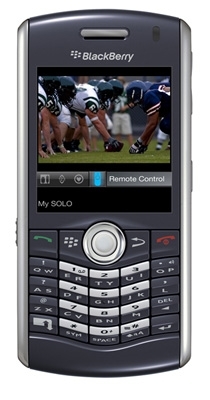 The technology demonstration will take place in Sling Media’s booth, #73106, Sands Convention Center, using a BlackBerry Pearl™ 8120, which incorporates both cellular and Wi-Fi® data connectivity. Sling Media will release SlingPlayer Mobile for BlackBerry later this year.